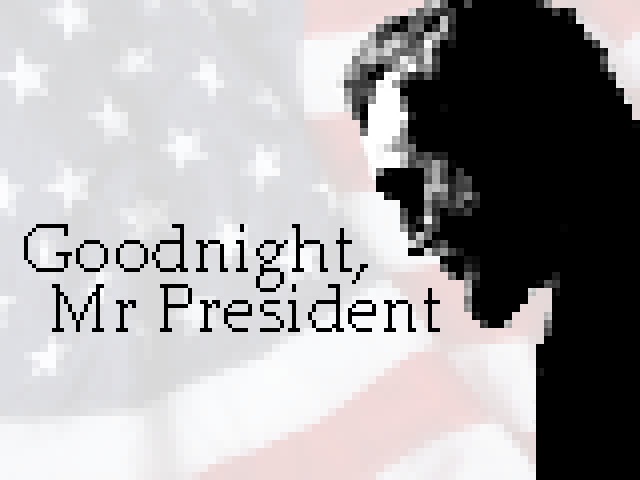 Goodnight, Mr President is a JRPG set in the exciting world of American politics. Yes that's right, together at last! Lead Phillip Mossman and his political party to victory against great odds! Lie through your slimey, politician teeth! Grab your Bill of Rights and some bribe money and find out what kind of President you could be. We were really happy with our game this PyWeek so this evening I made a trailer, which is a first for me.